- For a chocolate striped biscuit, replace the 50 grams of flour with 15 grams of flour + 35 grams of cocoa powder. Before starting this Striped Biscuit recipe, make sure you have organised all the necessary ingredients. For the coloured paste: Work the butter with a spatula to soften it. ... and combine well with a wooden spatula. Combine until homogeneous. There should no lumps. Add the liquid colouring. The amount of colouring varies according to the colour intensity you like. For a chocolate or coffee biscuit, replace the colouring with cocoa powder or coffee extract (see possible variations above). Combine until the colouring is fully incorporated. Pour the preparation on a Silpat baking mat. 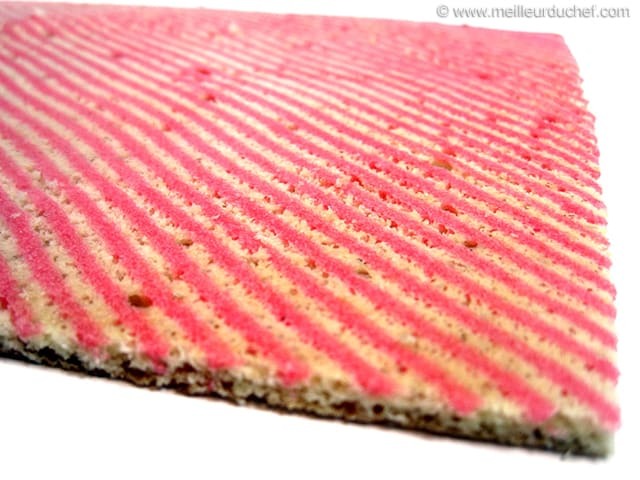 Spread into a thin layer (a few millimetres only), using a cranked spatula. Slide a decorating comb diagonally on the paste, from one corner to the one opposite. Make sure this operation is done in one go, so that the lines are parallel and regular. Gaps between the lines will depend on the decorating comb you use. 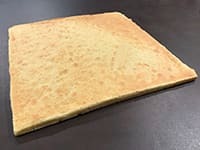 Place the Silpat baking mat on a baking sheet, then place in the freezer for about 30 minutes, until set. In the meantime, make the Joconde biscuit. For the Joconde biscuit: In the stand mixer recipient, place the almond powder and icing sugar. Add the whole eggs and the flour. ... until homogeneous. Transfer into a mixing bowl. Set aside. In the stand mixer, beat the egg whites until firm. Add the castor sugar and continue beating for a few seconds. ... and add the beaten egg whites to the preparation. Combine gently with a rubber spatula, then add the melted sugar. Combine gently again until the butter is incorporated. ... and spread with a cranked spatula into a thin, regular layer. Bake at 180°C (gas 4) on the middle rack, for about 10 or 15 minutes. When golden, remove from the oven. 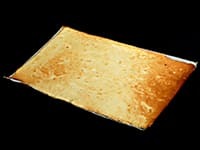 While the biscuit is still hot, flip the Silpat baking sheet onto a sheet of greaseproof paper. 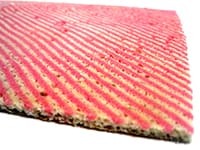 Gently lift the baking mat off the biscuit. Let cool. 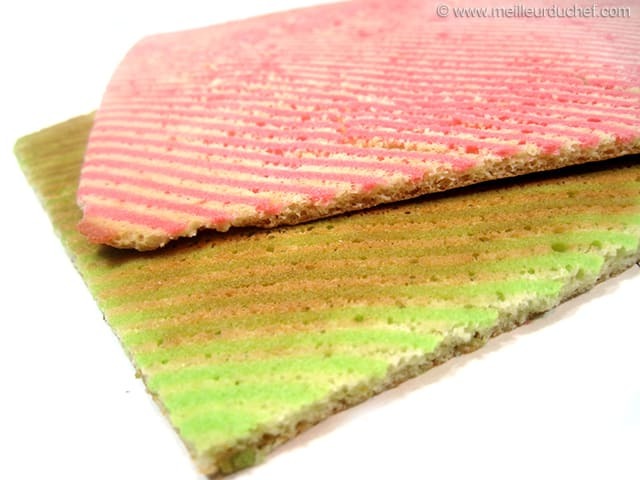 This biscuit is great idea to create original edges on your cakes and desserts. 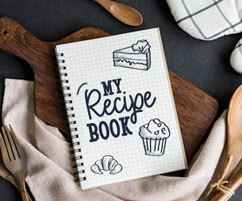 I don't know English very well,I think the images of this recipe and their arrangement has a problem,thanks. pattern transfer "paper" in video? I would like to know where can I find the product shown towards the end of the video for transferring a pattern from paper to the baked product?